If you're someone who enjoys pre-ordering games, then does Best Buy have a deal for you. Is pre-ordering games part of your shopping regimen? Do you like getting free money? Then perhaps you should cruise over to Best Buy, where doing the former will net you some of the latter. 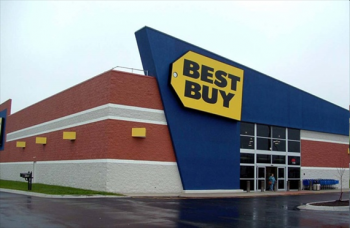 If you're planning to pick up at least five of these titles, then going through Best Buy doesn't seem like the worst idea, especially since they're willing to throw a not-unsubstantial amount of money at you in order to get your business. However, if you're only planning to get one or two of these games, you might want to consider Amazon; most of these games have a pre-order deal in place there that will earn shoppers some bonus in-game goodies, as well as credit they can use towards more games.